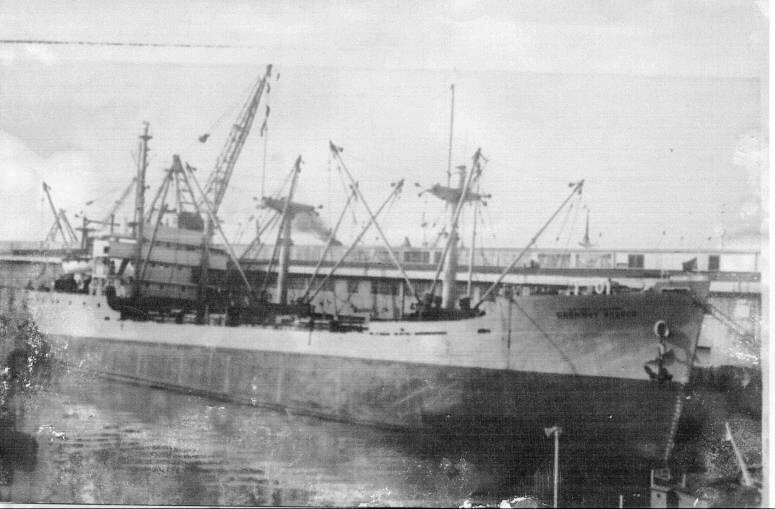 Laid down, 1 January 1944, as MV Kenneth E. Gruennert a Maritime Commission type (C1-M-AV1) hull, under Maritime Commission contract (MC hull 2243) at Walter Butler Shipbuilders, Inc., Riverside Yard, Duluth, MN. 50k Grommet Reefer (T-AF-53) pierside, date and place unknown. 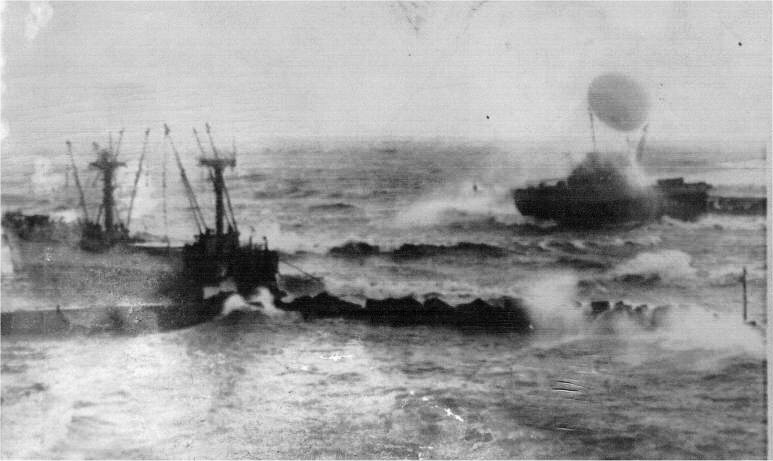 50k Grommet Reefer (T-AF-53) "spilt in two, rests on rocks 300 yards off Leghorn, Italy, with 37 cold and weary seamen still aboard the stern section (right) after three others were removed by breeches buoy. Rescue line parted after only three were taken off. Ship was driven on rocks by winds of gale force. Bow section, with no one aboard, is breaking up, but stern remains afloat and watertight. Cargo includes 17776 tons of perishable food including Christmas turkeys for GIs in Italy and Austria."